The US Navy has exercised a contract option with Raytheon to support the continued international industrial collaboration and manufacture of the Evolved Sea Sparrow Missile (ESSM) system for service with the US Navy and allies, including Australia. Raytheon was awarded the US$37.9 million cost-plus-fixed-fee modification to an existing contract with the US Navy's Naval Sea Systems Command and key international industrial partners from Germany, Australia, Canada, Spain, Denmark, Greece and Turkey. The contract amendment will include in-service support and technical engineering support services, with additional funding for research, development, test and evaluation to be conducted by the US Navy. Developed by the US Navy and nine of the other 11 member nations of the NATO SEASPARROW Consortium, the ESSM missile is bringing transformational anti-ship missile defence capabilities to the US, NATO and other allies. BAE Systems Australia is a key industrial partner supporting the international development of the ESSM system, providing thrust vectoring guidance control for 20 per cent of the ESSM production. The specific technology is called a thrust vector controller and some 3,000 have been produced at BAE Systems’ advanced manufacturing facility at Edinburgh Parks, South Australia, since production started in the late 1990s. As part of BAE Systems Australia's contributions to the program, the next-generation ESSM incorporates technology upgrades that are currently being tested in flight trials at sea and will be more effective against ever-evolving anti-ship cruise missile threats. BAE Systems Australia has been responsible for delivering more than 20 per cent of each ESSM, with contracts to date worth around $400 million. In the new program, BAE Systems will also manufacture the missile fuselage, guidance section internal structure and telemetry transmitter. Low rate initial production will start in 2019 and full rate production is expected in 2021 at an estimated contract value of about $32 million a year over the next decade. BAE Systems Australia secured the initial ESSM development contract in 1995, leveraging its expertise in thrust vectoring systems and missile flight controls developed through the Nulka program. The ESSM is produced under a collaborative program between Australia, the US, Canada and other NATO nations and is operational on almost 200 naval platforms worldwide. 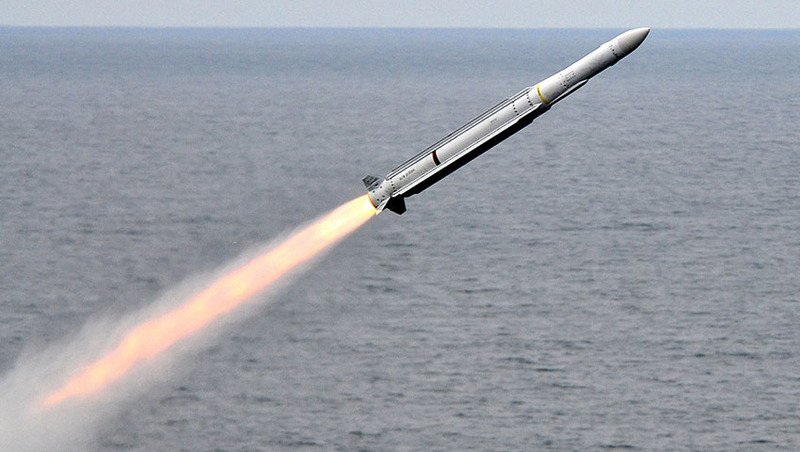 ESSM is a supersonic surface to air missile that protects warships against anti-ship missiles. In RAN service, ESSM is fitted to Adelaide Class frigates, Anzac Class frigates and the Hobart Class guided missile destroyers, and will also be fitted to the Hunter Class frigates.